Denver, CO, August 15, 2017 –(PR.com)– "We're thrilled that Wildflower Group has a growing national presence to make women's voices heard during this complicated time of transitioning through divorce and widowhood. Now, more than ever, we must provide the vital resources and community support that women require when they feel most vulnerable and alone. We want to laugh, learn and be inspired as we celebrate women everywhere who are thriving as they navigate this often overwhelming journey," said Wildflower Group founder, Joan Rogliano. The Denver Celebration will feature Suzanne Blons, former Revlon model and nationally recognized hair, make up and fashion Beauty Shaman. Her topic is "Presenting Yourself," which is an entertaining and inclusive presentation. 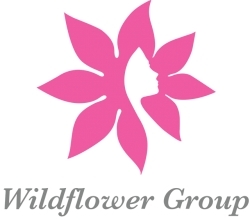 Founded in 2006, Wildflower Group is a national organization of professionals dedicated to supporting women who are widowed or transitioning through divorce. Now operating in 9 states, the mission is to expand the organization globally due to demand. Wildflower women usually experience a severe reduction in their financial position and, prior to making new life decisions, must prepare for the economic challenges they will face. Wildflower Group offers workshops, resources and a sense of community which empowers women to create a positive transition and secure financial future.